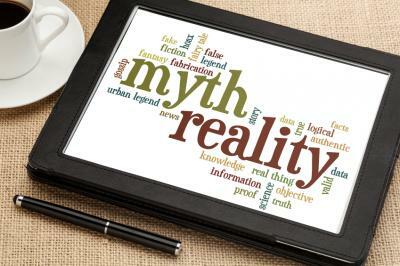 Urban legends are popular myths and people just love to talk about and spread them to others. These include such claims as the only things that would survive in a nuclear holocaust would be cockroaches and Hostess Twinkies; that swallowed gum takes 7Ys to digest; that you can recharge your cell phone using body electricity; and that the female praying mantis always eats its mate. None of these is true by the way, according to the experts. This brings us to the urban legend known as the millennial. People love simple labels, so this group has been tagged as being more interested in digital things than people; isn't very competitive; wants to share everything; trusts peers when seeking advice; doesn't want to be told what to do; does not respect authority; is lazy, entitled and narcissistic; has unrealistic career goals; thinks corporations don't do enough to better society and they personally need to be praised continuously for everything. Wow, that is harsh and given this group is over 83mm people strong, it seems a bit too simplistic if you ask us. That's why we decided to dig further to see what we could find and to try and separate fact from fiction. After all, millennials are the largest single group in the workforce now, so despite being a boomer and knowing plenty of Xers in the business, it makes sense for community bankers to be thinking about all of the generational differences to keep teams energized and excited. The reality is perhaps less interesting than the hostile labels above, which is why it rarely sees the light of day. Consider a Deloitte survey of millennials for example that finds: 73% believe businesses have a positive impact on wider society. Further, when asked what businesses should try to achieve, millennials flagged "job creation" and "profit generation" right alongside "improving society." The survey also found that when asked to identify the personality traits of true leaders, millennials most often cited: strategic thinking (39%), being inspirational (37%), having strong interpersonal skills (34%), vision (31%), passion and enthusiasm (30%) and being decisive (30%). That doesn't sound very different from other generations at the same age in business and is in line with how many in other generations still think. On the good news front for community banks, the Deloitte survey also found that millennials in developed markets prefer to work for large well-known businesses (35%) almost as much as they want to work for medium-sized less well-known businesses (32%). Differentiating your bank in this area could draw in more millennials over time perhaps. Also of interesting note though, only 11% wanted to own their own start-up business and the same percentage wanted to work for a small start-up. Consider as well a survey by consulting firm CEB. It found millennials are very competitive with 59% saying competition is what gets them up in the morning and 58% compare their performance against peers. Both of these percentages are 8 to 10 percentage points higher than the respective levels for boomers, so that too is a good sign of hunger and drive among millennials. Finally, we look at that social thing and a need for constant contact with others and kudos from bosses. Yes, this group is highly connected, but that doesn't mean they believe everything they read or see. In fact, the CEB survey found 37% of millennials don't trust peer input at work vs. 26% for other generations. Further, 41% of millennials say employees should do what their manager tells them vs. 30% of boomers. In short, millennials are not a lump of people that all act the same, just as Gen X and boomers aren't either. Have a good holiday and when you come back in 2016 try to spread the word that people are just people and some have more tech skills than others, while some have more experience than others. Yet another myth solved around the millennial. Yields were up 2bps as oil prices continued to bounce back from a six-year low. JPMorgan has agreed to pay $150mm to settle investor claims it hid $6.2B in losses caused by the trader known as the London Whale. The CFPB has fined payday lender EZCORP, Inc. $10.5mm related to allegations of illegal debt collection, making unlawful electronic withdrawals from consumer accounts and other items. EZCORP was also barred from attempting to collect future debts in person. The CFPB has fined car dealer finance company CarHop $6.5mm for inaccurately reporting consumer credit information on thousands of accounts. Research finds the average person is interrupted every 8 minutes, it takes about 5 minutes and it eats up about 50% of the average work day. To improve your productivity, try taking your laptop and hiding in a conference room, closing your office door periodically to work on projects, posting a sign saying "busy right now please come back in X minutes," and turning off email "pop ups" to stay focused and move forward. Doing so can improve your work and give you back an estimated 3 hours lost per day, so it is well worth trying. Banks with assets >$250B will have to incorporate a countercyclical capital buffer into their analysis of 0% to 2.5%. The buffer kicks in when the financial system is seen to be more vulnerable and banks that fail to meet the requirement are not allowed to pay discretionary bonuses or make capital distributions. CNBC reports its latest survey of millionaires finds: the area where most plan to invest more in 2016 is technology stocks (20%), health care (16%) and financials (12%); 46 percent of respondents believe the S&P will grow between 5% and 10% during 2016; and 60% say their household income will remain the same during 2016.